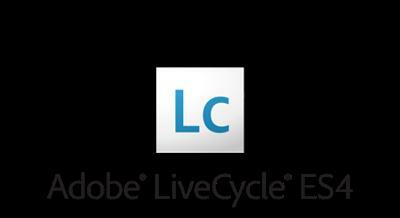 Adobe LiveCycle Designer - Designer and developer tool that allows you to easily design electronic forms.These forms can be filled not only by hand, but also online and then send and print data. DESIGN forms determined by the logic of their behavior, modify them to match paper counterparts or to meet the stringent requirements of the legislation. With the help of Adobe LiveCycle Designer, developers can create applications that generate dynamic, data-driven documents and provide customized business documents for print, online or archiving. Designing forms allows for various designs - from the creation of guidelines to deliver interactive applications for data collection. All this is achieved with a few visually appealing and streamlined panels that enhance the user experience and reduces the number of data entry errors. You can also build and maintain data collection solutions that interact with enterprise data warehouses. Designer enables you to integrate PDF documents into existing workflows by binding forms to XML-schemas, data sources as XML, databases and web-services. For forms and documents that are created in Adobe LiveCycle Designer, available merge with business data, the map as a set of files of various formats, including Adobe PDF, HTML, SWF, and printing on devices with support for PCL, Adobe PostScript?? and Zebra ( ZPL).